Ken, aka Cowboy Kenbot, sends in the tattoo he got done at Hybrid Tattoo. He says he loves Star Wars and loved this shirt when it came out, so he decided to get it tattooed. 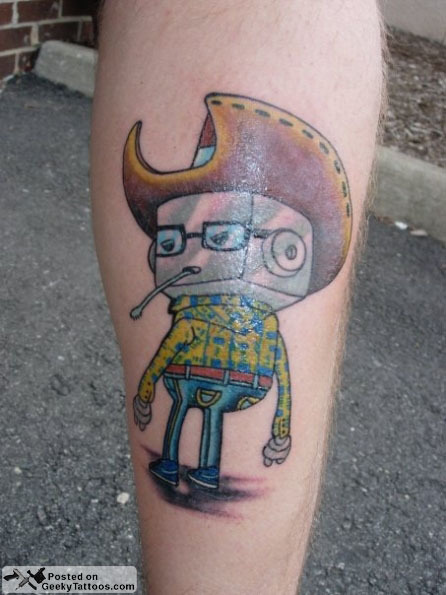 But it’s not his only geeky tattoo, he’s also got a robot cowboy version of himself. 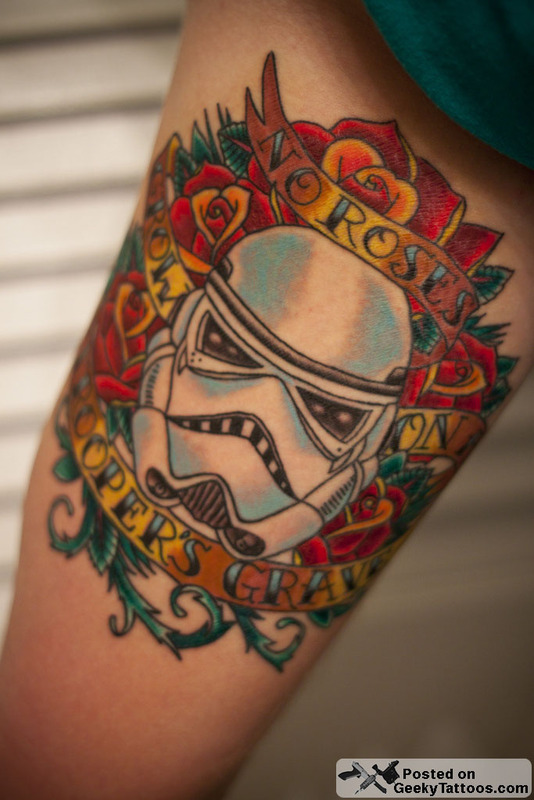 Posted in Movies, Robots, Star Wars, Tattoos. Tagged with Hybrid Tattoo, leg, robot, Star Wars, Stormtrooper. No photoshop, this is my sisters fiance. Haha, he really is a big nerd..
Credit for the artwork goes to Adam Hayes of Red Rocket Tattoo in NYC, it’s his design. He specializes in Star Wars Americana work.